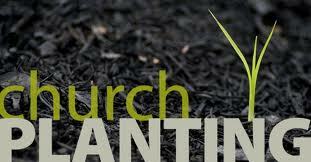 At TEL International, we believe that Church planting is the primary task of missions. There are many gifts and callings in the body of Christ, but all of them are to work together on the mission field towards the primary goal of planting a biblical church. It is one thing to do mass evangelism and to boast of the numbers of decisions; it is quite another to establish a biblical church. Christians were never meant to live their lives in isolation. 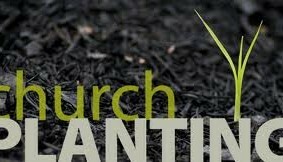 Our desire is to preach the Gospel, train leaders, and aid in the planting, strengthening, and multiplying of churches around the world. The Bible tells us that every believer has been given unique spiritual gifts to aide in the administration of the church. The goal is to establish a place of fellowship where fellow believers can worship God and support one another in their relationship with the Lord. Our aim is not to entrench ourselves in the ministry, but rather to serve as catalysts and promoters of native ministries and churches. The ultimate goal or objective is to work ourselves out of a job. Even so, leadership development is a central task of our mission team, which is to help leaders at every level of leadership assess and develop their Christian character and acquire, reinforce, and refine their ministry knowledge and skills. Some of the last words of Christ before He ascended to heaven was that we should go and carry His Word to the world. In Matthew 28:19 and 20 Jesus said to go into the whole world with the Gospel, teach the hearers and baptize believers. Interestingly, the command in those verses is not emphasized in the word “go,” rather it is on the word “teach.” The verse reads more like this in the Greek, “As you are going, teach…” It is implied that we will go into the world. Jesus knew the persecution that would soon come to the church in Jerusalem. He knew the believers were about to be scattered in the world. He knew they would “go.” He emphasized the fact that since they are going, they should teach what they knew about Him. Our role is to help mobilize laborers and resources and direct them to the areas of greatest need in the world. Billions of people still need to hear the Gospel. There are still thousands of people groups where there are no churches at all. Jesus said, “The harvest is plentiful and the laborers are few.” (Matthew 9:31) Yet with God all things are possible and He will fulfill His Great Commission using His people. Through His power and guidance, there are enough laborers and resources to accomplish His plan as His people become motivated and mobilized to respond. God desires to call a people for Himself from among “every tribe and tongue and people and nation.” (Revelation 7:9) The Church is His instrument to fulfill His global plan. Make a gift online or download the attached donation form and mail your gift (check, or money order) to the following address: TEL INTERNATIONAL – P.O. BOX 763325 Dallas, TX 75376. All charitable contributions are tax deductible.